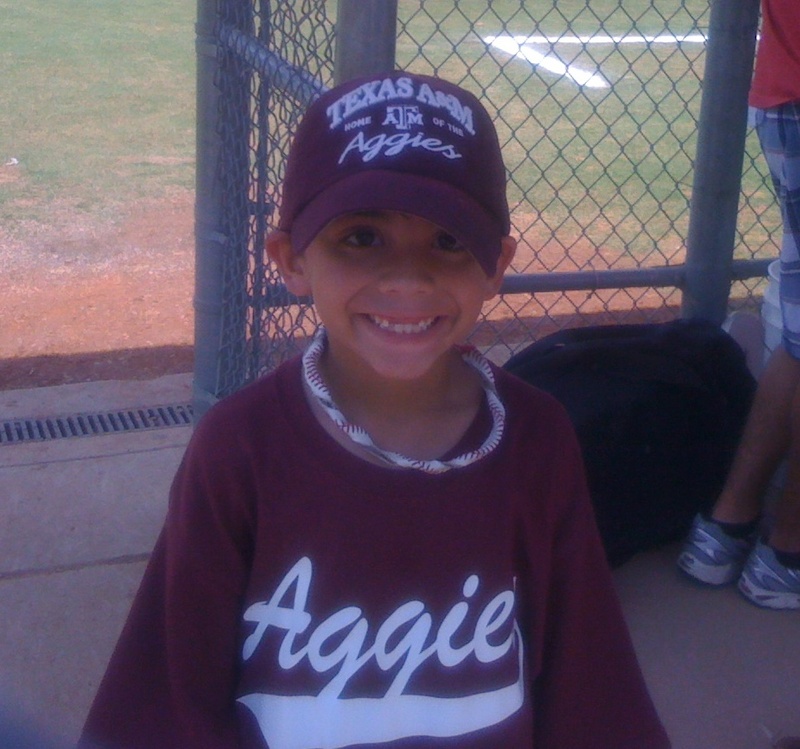 Azer had two tournament baseball games for today. He was excited last night about it. So, this morning, I woke up early so I could get Azer drinking his morning milkshake, and to hope that he could get it down before he had to start running around in the hot sun. Well, things didn't exactly go as planned. He took his meds and had a few sips of the Scandishake, and then had to run into the kitchen and threw up in the sink. He seemed perfectly fine after he was done throwing up. Plenty of energy, no fever. Everything was fine, just like after he threw up yesterday. I was so frustrated. I mean, I was wondering how the heck was he going to play baseball, basically all day, on an empty stomach with practically nothing in it? I was really emotional and stressed. So, I called the CF doctor on call. She was great. She said as long as he stays hydrated, and gets salt with each thing he drinks, that he should be fine playing baseball. So, I gave Azer a Caprisun, and sprinkled some salt on his tongue, and he kept it down fine. Azer was fine during the first game (they lost miserably though ... the team we were playing against was used to playing tournaments). I kept Azer wet, and kept giving him salt after each half-inning. After the game, Azer had lunch with a team mate and his coach. He actually ate food, which is amazing. We lost the second game too, but luckily Azer wasn't too disappointed. He looked pretty lively on the way home. When we got into the door, he looked tired and like something wasn't quite settled with him. Yep ... he ran to the bathroom and threw up again. I called the CF doctor again right away. After talking with her for a while, she was thinking Azer had something called SMA syndrome. She said it wasn't serious, and that it was something normal. I don't really understand it completely. When I googled it, it looked pretty serious to me. She said to put Azer temporarily back onto his old enzymes, and see if the vomiting goes away. If it does, then we'll have to adjust his new enzymes somehow. The doctor said she really wasn't concerned with how Azer sounded. She said he sounds alright, and to just try to experiment with the enzymes and see if things will change through the weekend. Azer has another game tomorrow. Basically, his team plays until they loose. So, off I go to "experiment" on my child. Poor baby, I am sure he just wants to play baseball and throwing up is NOOOO fun.... I hope you get it figured out soon... And I pray that Gods gives him some wonderful opportunities like Lane has received with the OU Baseball team... These boys deserve to just be kids playing ball and enjoying life.... Much love and wishes going your way!! !